Most businesses think they can take or leave title tags; that people don’t really pay attention to what they click on when using search engines. But title tags aren’t just about the searcher, they also help Google determine what your page is about and whether it’s relevant to what’s being searched for. A title tag is the HTML element that determines what the title of your webpage is. It’s main aim is to let visitors know what they’ll get if they click through to your page and notify search engines what the topic is. Your title tag should incorporate your main keyword while adding a little extra information and intrigue to get users to click through. Not only does the title tag specify what your page is going to be about, it can also qualify a predetermined niche audience and let them know that this page is for them. Before we dive in and show you how to create title tags that capture the attention of your target audience, here is a rundown of title tag etiquette so you can kick things off on the right foot. Now you’ve got the etiquette down, here’s how you can start creating title tags for a niche audience. I know, I know: you’re eager to put fingers to keyboard and get those title tags written down and published, but hold your horses. How will you know what information to include in your title tags if you don’t know who you’re targeting? The simple answer is you won’t, and creating vague tags can do more harm than good. What can you offer them that no one else can? Why should they come to you? How are you going to solve their key pain points? Once you’ve got the answers to these questions nailed down, it’s time to think about whether people in your niche even search for what you sell. For example, if you offer an automated reporting tool to enterprise businesses, you might find that, a) the keyword “automated reporting tool” is over-saturated and heavily competitive and, b) that enterprise businesses don’t necessarily know they need an automated reporting tool so aren’t actually searching for it. If it’s the latter, think about other topics your prospect might be searching for (like “best tools for creating marketing campaigns” or an enterprise guide to a trending topic) and have these at the back of your mind. Not all niches were created equal. Is it actually possible for me to rank for anything my prospects are searching for with the content I currently have? What other content is performing well in my niche? Which brands are dominating the top spots on search engines? When you know who your competition are, you can better position yourself to attract the right people. Etsy recently carried out a study where they measured thousands of their URLS before and after shortening their title tags. The results showed that the shorter title tags saw a higher ranking in Google which shows us: short = sweet. Though you want your title tag to provide searchers with all the information they need to know whether your page is going to help them or not, you also want to keep it short and to the point. This is partly because Google truncates title tags at around 50-60 characters, and partly because internet users have a terrifyingly dwindling attention span. 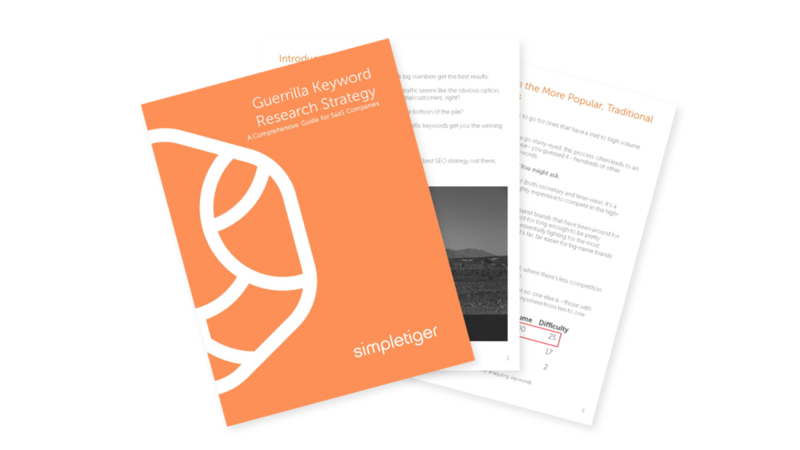 Chances are you’ve done a little keyword research, know the phrase you want to target, and are ready to go full steam ahead with that in your title tag. Although the keyword you’ve settled on might have the highest search volume, it might not be the phrase that everyone in the niche you’re targeting is using. For example, the keyword “cheap email software” might have the most searches each month, but people might also be searching for things like “low cost email marketing”. This is where you can loop back around to your target audience profile to determine the kinds of key phrases they’re using in search engines. This is where you can get creative (and, more importantly, specific) with your title tags so you reach the most important people. Though you should always be targeting just one primary keyword, you can also target one or two long-tail keywords to help qualify your target niche and audience. These are longer phrases that people put into search terms, and might be things like questions or statements. For example, your primary keyword might be “cheap email software”, but you might also target long-tail phrases like “how to use cheap email software” or “which email software is the best for restaurants”. These long-tail keywords give you the chance to get more specific with the niche you want to target (like the restaurant industry example above) and help Google determine even further who it is you’re trying to target. Rather than vague attempts to stuff every keyword imaginable into your title tags, get specific and hone in on your target niche to get higher click through rates and more conversions. This is because you’re actively targeting a certain group of people with an answer to their specific problem instead of trying to attract everyone with a solution they may not need.